We need philanthropy and the nonprofits it supports right now. We really do. After all, we have a federal government that is highly dysfunctional and (as I write this) currently partially shut down, fundamental democratic institutions and individual rights that are under attack, and a business sector that, while performing better since the Great Recession, seems too often focused on short-term profits and shareholder value over all else. There is much urgent work to be done. Yet, many in philanthropy appear totally consumed with self-critique. I hear it in my discussions with foundation staff and I see it, each day, in my social media feeds. So, as she and others — notably historian Ben Soskis in this thoughtful 2014 essay in The Atlantic — have argued, tough questions about the work of big givers are crucially important. I certainly agree. Indeed, I have often sought to be a constructive critic of foundations and donors who, for example, seek to impose “solutions” in a top-down manner. 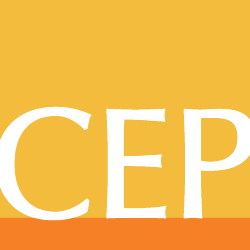 And CEP has worked, over its more than 17 years of existence, to raise tough questions — rooted in data — about how philanthropy can do better. I think critique is less productive, however, when it’s based in misunderstandings, incomplete or non-existing evidence, or exaggerations. It can lead to misguided reforms, distract from actual problems, and take our attention away from increasing the effectiveness of crucial philanthropic efforts. Here are three examples of critiques that have gained traction in recent years that seem, to me at least, to be at least a bit iffy. Iffy Assertion 1: All big givers just want to preserve the status quo and protect their interests. It’s true, of course, that there are big, big problems with a flawed system that produces stunning levels of wealth inequality and features disparities in opportunity often rooted in structural racism. It’s sad, in my view, that our democratically elected representatives are unwilling to push for a higher marginal tax rate on the wealthiest citizens. It’s also true that some among the wealthiest would rather not face tough questions about the system that allowed them to accumulate such enormous wealth. And, of course, it is also sometimes true that big givers — including corporate “green-washers” — appear to use giving as a shield with which to protect themselves from questions either about the larger system or their own misdeeds. But it’s a big, big mistake to lump all of mega-philanthropy together and paint it with this brush, as I believe journalist Anand Giridharadas has in his book Winners Take All: The Elite Charade of Changing the World and in his commentary on Twitter and elsewhere. No doubt, the book makes some crucial points. As Ford Foundation President Darren Walker put it in a recent essay, Giridharadas “rightly skewers that segment of philanthropic giving that boasts of saving the world while fundamentally strengthening the economic and social structures that separate the haves from the have-nots.” That’s why we at CEP invited Giridharadas to be among the speakers at our conference in Minneapolis this May, and I very much look forward to hearing from him there. As Walker and Kramer rightly note, differentiating among different types of philanthropy is crucial. But statements like this one from Giridharadas, in a tweet this month, don’t help us to do that. “Philanthropy launders bad reputations,” he asserts. “Elite giving cannot be separated from self-protection.” His writing seems often to suggest that this description applies not to a few big donors, but rather to all of them. In fairness, perhaps he doesn’t really intend to paint with such a broad brush? Some of his tweets of the last few days, like this one, have acknowledged the good giving can do. I don’t know. But what I do know is that when I think of the staff of — and donors to — the hundreds of foundations we at CEP work with, I frankly don’t see self-protection motivating them. I see hope, belief, values, and a genuine commitment to meaningful change. Self-protection is certainly not what’s motivating people involved with the many foundations (some with living donors and some with no family of the original donor on the board) that have worked to begin to reform our broken criminal justice system in recent years, to choose just one example. These efforts have had real success — contributing to a dramatic decrease (by half) in the incarceration of juveniles as well as the recent reforms passed by Congress (insufficient as they may be). The same goes for a slew of other examples — from the work of many national and regional foundations to expand access to healthcare, to the work of donors seeking to protect threatened wildlife, to those working at the community level to support organizations providing vital support to our most vulnerable citizens. The givers behind these efforts are motivated by their convictions and their desire to contribute to a better future for others. Iffy Assertion 2: Philanthropy threatens our democracy. Stanford professor Rob Reich’s new book, Just Giving: How Philanthropy is Failing Democracy and How It Can Do Better, asks the provocative question: “Is philanthropy, by its very nature, a threat to today’s democracy?” My answer is no — and, further, that this is perhaps not the most important question to be asked about the health of our democracy right now given the pressing threats it faces today. See, for example, voter suppression or possible collusion between a foreign government and a presidential campaign during our most recent presidential election. Let me make clear that I agree with Reich on a number of fronts. For example, I agree that tax policy with respect to charitable deductions favors those with more over givers with less in a way that I find impossible to defend; there is no good reason I should receive more of a tax break for a gift of $100 than someone in a lower tax bracket. And I concede that philanthropy that elevates the voices of the privileged over those of regular citizens in policy discussions does, indeed, run counter to my sense of how a democracy should function. Let me also concede that there has been too much of this kind of philanthropy, for example in education reform efforts in cities like Newark. It’s worth pointing out, however, that there has been heightened self-awareness about this in recent years, as evidenced by a number of initiatives to hear from those funders seek to help. Reich’s book is deeply thoughtful and raises important questions worthy of consideration. But my view is that the philanthropy I see up close more often fuels our democracy and citizens’ individual liberties, as it has when it has lifted up the voices of those demanding their basic rights (for example in the case of the civil rights movement, or the movement for LGBTQ rights, or efforts to help immigrants seeking refuge from violence in their home countries). I believe philanthropy — and the vast and diverse array of often small and community-based nonprofits it supports — should rightly be seen as a fundamental, if far from perfect, part of our democracy. Indeed, the best giving often takes the most powerful to task in a way that protects and empowers citizens. Foundations have countered the money and voice of corporate powers and acted on behalf of regular citizens — seeking to protect their health, for example, from the misleading advertising of Big Tobacco. Philanthropy has much more often “enlarged” our democracy, as historian Olivier Zunz has put it, than threatened it. Iffy Assertion 3: Donor advised funds (DAFs) are a big tax evasion scheme and generally just nefarious. The criticism of donor advised funds has reached a fever pitch as DAFs have grown dramatically. To be sure, there are important questions to be asked about DAFs. But much of the criticism is ill-informed, such as in this recent op-ed in the East Bay Times. Its author, David Simpson, calls on national gift funds and community foundations “to adopt guidelines that promote timely disbursement of funds.” That sounds sensible enough, which is perhaps why most major DAF providers have done just that already! And yet Simpson doesn’t even acknowledge (or perhaps know?) that. Similarly, Simpson doesn’t acknowledge (or perhaps know?) the well-documented fact that DAFs pay out at a rate significantly higher — a reported more than 20 percent annually — than the typical foundation. He laments that Fidelity Charitable is the biggest recipient of charitable contributions, but he doesn’t mention that it is also among the biggest grantmakers in the country! Overall, as a group of community foundation presidents noted in a recent letter to The Chronicle of Philanthropy, “the rate of growth in grantmaking to charities from donor advised funds outpaced the rate of growth of money coming in” in recent years. Hundreds of such community foundations are accredited in a rigorous process that requires them to take action on inactive DAFs. DAF-bashers assert that nonprofits are suffering because contributions that would have otherwise gone directly to them are sitting in DAFs. But we don’t really know that to be true. Is giving to DAFs actually replacing what would have otherwise been checkbook giving straight to nonprofits? Or, is giving to DAFs replacing what otherwise would have been giving to establish foundations (that would have paid out at a lower rate) or to support already well-endowed institutions? Or is giving to DAFs spurring new giving that wouldn’t otherwise have occurred at all — taking money that would have been sitting in savings or investment accounts (and waiting to be passed along to descendants) and putting it into the charitable realm? These questions are difficult to answer. But if we don’t know the answer, we shouldn’t act as if we do. I have yet to see evidence that nonprofit fundraising suffered even as total giving grew in recent years — which is what we’d expect to see if, in fact, DAF growth was leading to a “warehousing” of charitable dollars as critics charge. If such evidence exists, let me know; I’d be the first to concede that this would be worrisome indeed. Nor are DAFs just playthings for the 1 percent; thresholds for establishing a DAF are often as low as $5,000 or $10,000. To be sure, DAFs aren’t perfect. And there are significant differences in impact, community engagement, access for grantees, and grantmaking between the three categories of DAF sponsors: commercial financial institutions, community foundations, and individual nonprofits such as universities. But much of the critique of DAFs is overemphasized and overgeneralized in a way that simply misses the mark. Let me repeat: critique is important. By all means, we should, for example, take the Bill & Melinda Gates Foundation to task for its missteps in its education work over the years. Of course that criticism is healthy and appropriate. But we should also hold up and learn from the stunning reduction in worldwide childhood deaths to which the Gates Foundation has contributed. That matters too! Rather than suggesting that all big givers are just pursuing their self-interest, preserving the status quo, or distracting from bad deeds, let’s condemn the examples of those who do while simultaneously raising up the many examples of giving that is rooted in a deep belief in making real change. Rather than painting all philanthropy as anti-democratic, let’s learn from and encourage the great giving that improves our democracy and empowers regular citizens. And, rather than crusading against DAFs, whose popularity as a convenient facilitator of charitable giving is unmistakable, let’s focus on where this philanthropic vehicle is being harnessed for maximum good and encourage more of that. I’ve been surprised by the degree to which some of those working in philanthropy seem to embrace even the harshest and most sweeping negative generalizations about their work. As I said, openness to criticism is healthy. So too is an awareness of privilege — and of the bubble in which donors and foundation staff can often reside. And so too is a willingness to adapt and change, which is hard work. But too much of the discussion today seems to overlook the good that giving does each and every day. Philanthropy remains a defining strength of our country, and the diverse array of nonprofits it supports are often doing heroic work to help lift up the most vulnerable. It’s important we not lose sight of that, especially now. Note of Acknowledgment: A number of colleagues inside and outside of CEP provided helpful feedback to me on an earlier draft of this post. I am grateful but will refrain from implicating them by name in the views expressed here, which are entirely mine. Phil Buchanan is president of the Center for Effective Philanthropy, a regular columnist for The Chronicle of Philanthropy, and author of the forthcoming book, Giving Done Right: Effective Philanthropy and Making Every Dollar Count, to be published by Public Affairs/ Hachette Book Group in April. Follow him on Twitter at @philxbuchanan.